What are travel bloggers recommending to do in Finland? 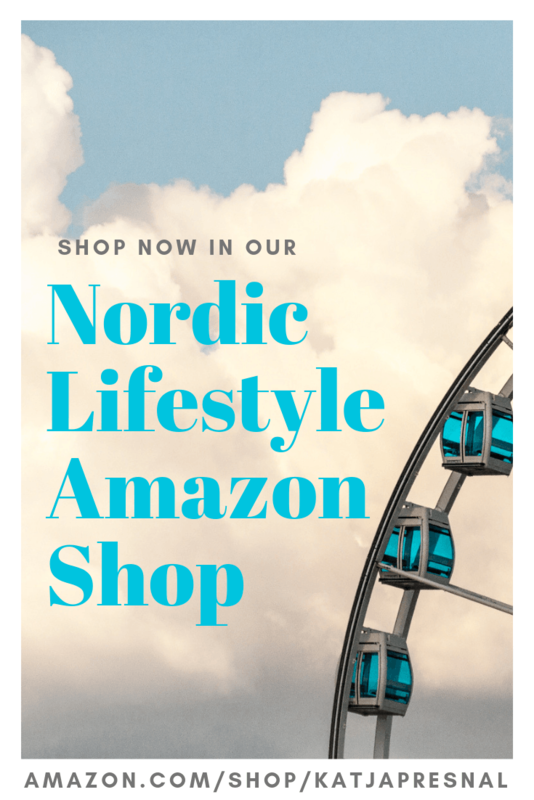 I decided to ask some of my travel blogger friends from around the world what have been their favorite experiences in Finland during spring and summer time. The answer was pretty unanimous: experiencing Finnish nature. 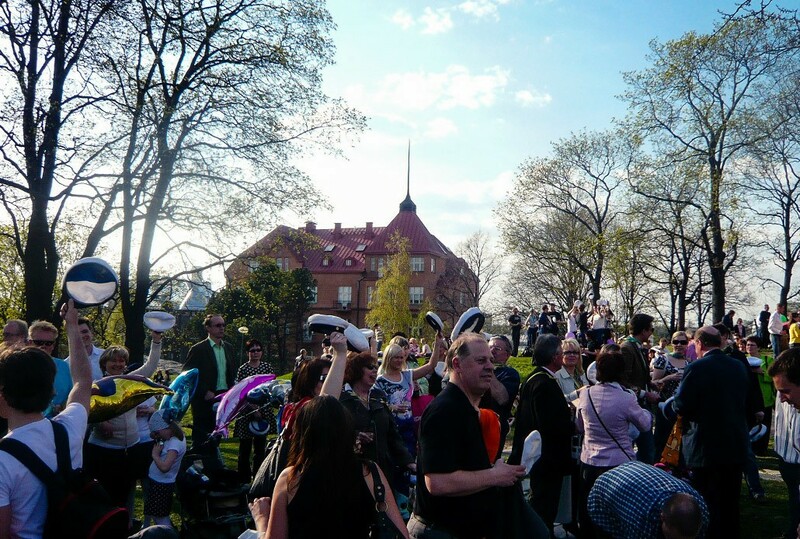 Even the big parties and celebrations like First of May/Labor Day and Midsummer happen outside in the nature or in city parks. Read more and make a list of places to see in your adventure in Finland this summer! I spent two Vappu festivals in Turku, Finland. While the first one was a wild exchange student experience, the second one turned into a big reunion with friends. Vappu celebrates the arrival of spring, the students and everyone’s memories of the student years and unity among all Finns. I can’t wait to attend my third Vappu! One of the best things you can do in Finland in the summer is to head to the city of Turku. Not only is it the perfect gateway for exploring the Finnish archipelago, but it also has plenty to offer in and by itself. 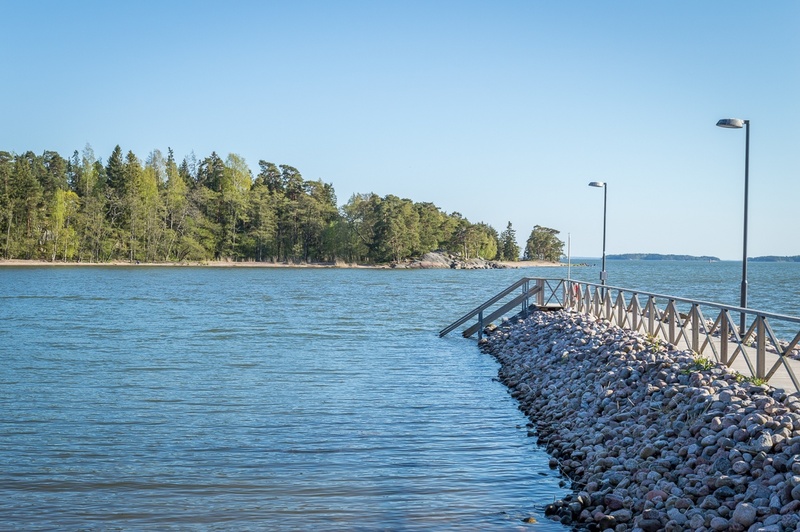 A must-do summer activity in Turku is without a doubt a visit to Ruissalo. 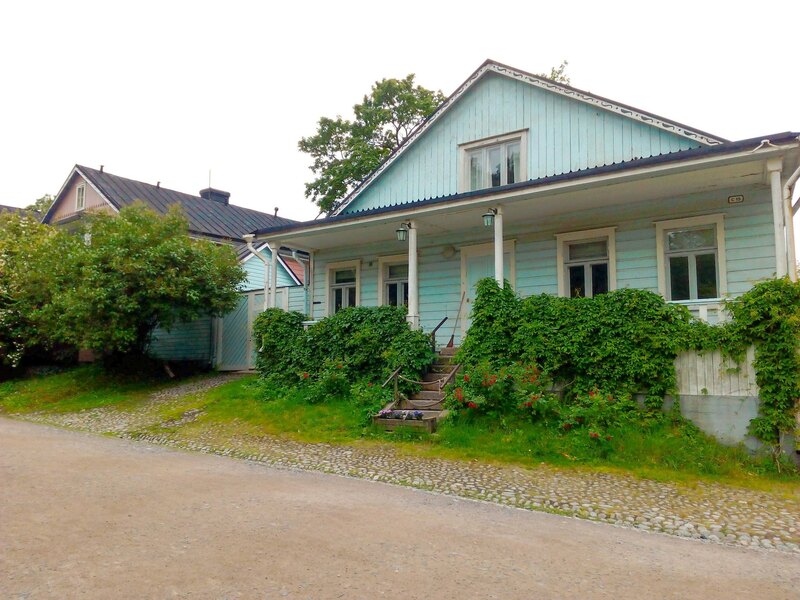 Ruissalo is an island incorporated into the city of Turku, located just to the south-west. Although parts of the island are populated, most come here to enjoy its serene nature. In fact, Ruissalo is home to one of the largest old oak forests in the country, as well as the Botanical Garden of the University of Turku. Walking and biking paths lead you from the city, through the forests, all the way to the Baltic Sea. The most serene walking route is found along the so-called Villa Promenade, which, even despite its name, lies far from the closest 19th-century villa on the island. beautiful nature on Ruissalo island. 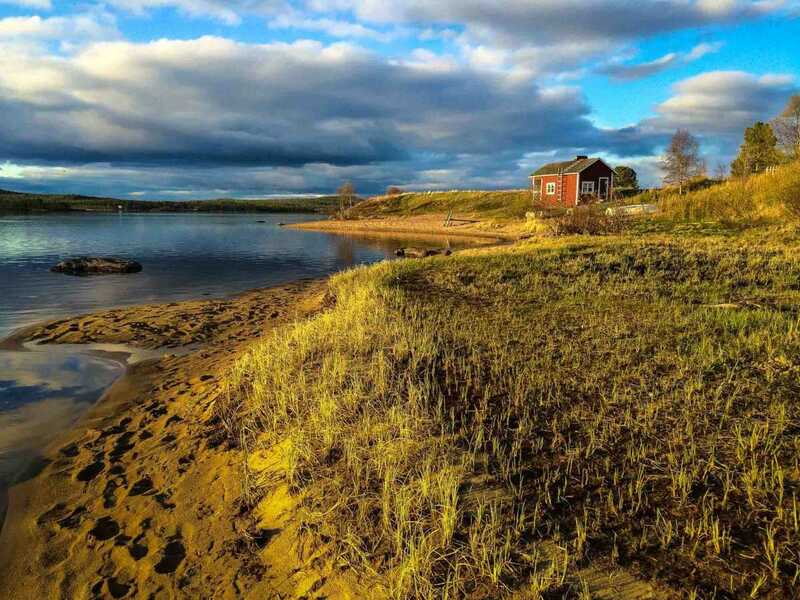 In a country full of natural oddities, the Kvarken Archipelago stands out as one of the most interesting. So much so that it has been designated as a World Heritage Site by UNESCO. 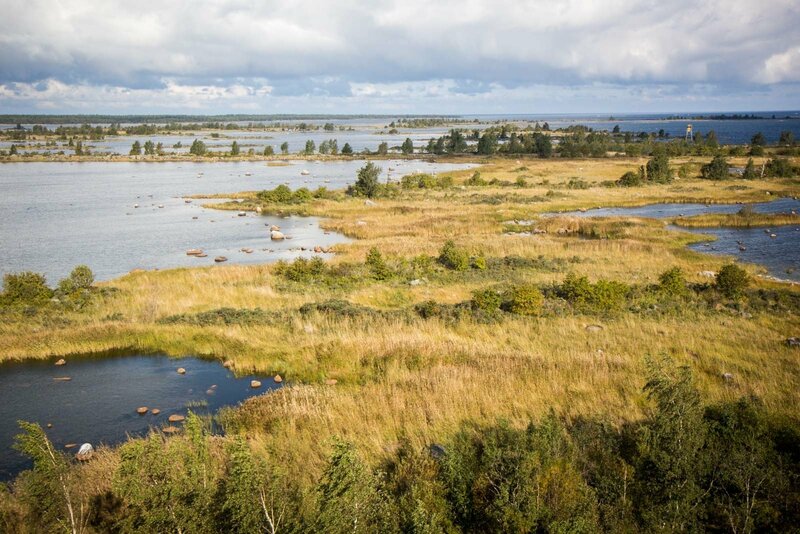 What makes the Kvarken Archipelago so interesting is that the land is rising up quickly from beneath the water. It comes up by about a meter every century (which may not sound like much but is extremely fast in geological terms). It means that in about 2000 years, you’ll be able to walk to Sweden! This collection of islands, with birds flying overhead, is a wonderful place to go in summer. 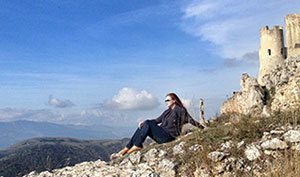 The vibrant natural landscapes and the relaxing atmosphere is popular with locals, but tourists are also more than welcome. There are a few different ways to visit the Kvarken Archipelago. The best thing to do is head to the small town of Björköby. From here, you can walk across some of the accessible islands, or you can hire a bike in town and cycle along the tracks, or you can organize a private boat hire (although it’s quite expensive unless you have a large group). The other option is to just join one of the larger boat tours that leave from closer to Vaasa. In Inari, Finland, in the summer, the long lovely dusk drew us outside. Just watching the golden light on the grasses next to clear blue Lake Inari might have made our trip complete. After midnight, when the sun rested below the horizon, we still watched red and purple shadows cross our curtained room. In full daylight, we set off to discover some the region’s wildlife. We’d already learned (on our drive from the Ivalo airport to Inari) that reindeer are a common sighting. Somewhat domesticated, they are free to roam throughout the year. Twice a year they are herded for breeding and sale. A Husky farm near town offers instructive tours, demonstrating the care and training of sled dogs. As we greeted the dogs –about 30 adults and a half dozen puppies– we could see how they differed in temperament. The farm also houses five Norwegian Fjord horses. This stocky breed is adorable and hard working. I returned to ride with one of the farm’s volunteers. For a better look at the land – Inari is just above the Arctic Circle – we found a great hike into the woods and over the roaring Juutuanjoki River, which races down into Lake Inari. Suomenlinna is a sea fortress right next to the Finnish capital Helsinki, one of the best places to visit in Europe in spring. The name of this beautiful UNESCO World Heritage site which includes a total of six little islands can be translated to Finnish fortress while its original name Sveaborg actually means Swedish fortress. While the fortress has been built in 1748 for military reasons, today Suomenlinna is a popular tourist spot for everyone that is either interested in the history of Finland or just wants to be in nature. Suomenlinna is full of wonderful walking paths surrounded by the sea which can be enjoyed by nature-lovers especially during the summer. Moreover, you can find picturesque picnic spots all over the island. Near the harbor, you can have a look at the old neighborhood of Suomenlinna which is full of colorful Scandinavian houses. If you are interested in learning more about the fortress and the history surrounding it, make sure to pay a visit to the Suomenlinna Museum which is located right near the harbor. If you get hungry, you can visit one of the restaurants located on the island. I recommend you to try the freshly baked cinnamon buns which are absolutely delicious. Finland is such an awesome place, and we keep discovering more every time we visit. 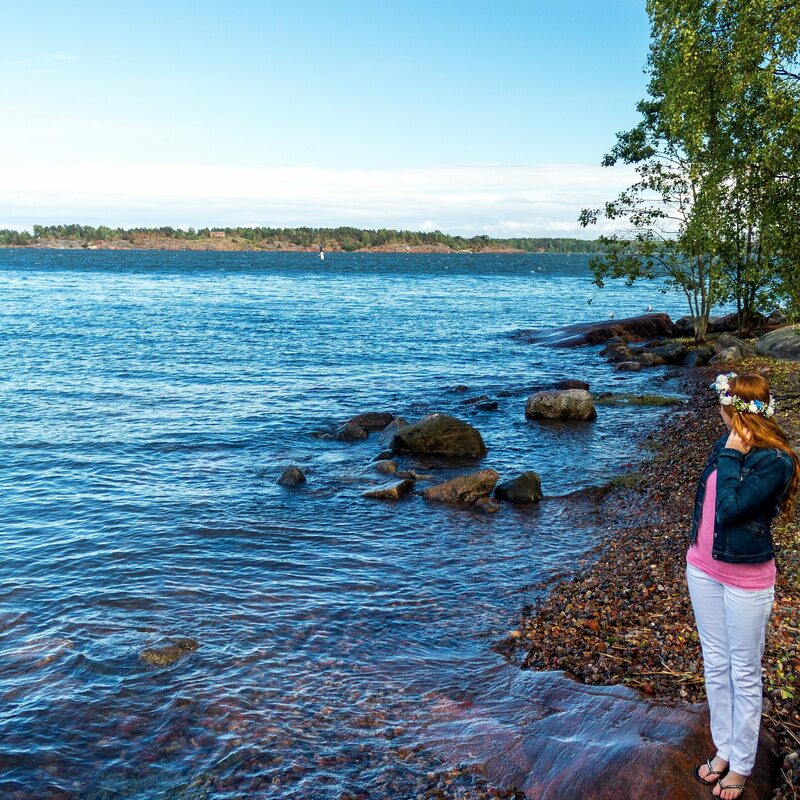 One of our most favorite activities was celebrating the Midsummers Eve on Lonna Island in Helsinki. The midnight sun was such a unique thing to witness, and we were there during the Midsummer celebrations. All of Finland celebrates as it is the longest day of the year, and the start of holiday. There are festivals and parties all around, but our favorite was the festival at Lonna. Lonna is a very small island right off of Helsinki, and you can get there by a quick boat ride. The Midsummer event was a music festival with a huge line up of different bands and music. There’s lots of food, drinks, and dancing to go around. Don’t forget to wear your flower crown! We had a blast, and recommend the festival for Midsummers Eve. About half an hour outside of Helsinki along the coast, you’ll find the small community of Majvik. At the heart of this community is the farm where we spent four weeks volunteering as WWOOFers. WWOOF stands for World Wide Opportunities on Organic Farms and is a global network which helps connect small farms with budding volunteers. In exchange for working on the farm five days a week, you get free food and accommodation throughout your stay. This was our first time doing farm work and our first visit to Finland. I hated the lifestyle change at first, it really was a shock to the system. But after settling in, I started to love the farm’s atmosphere and the local culture. 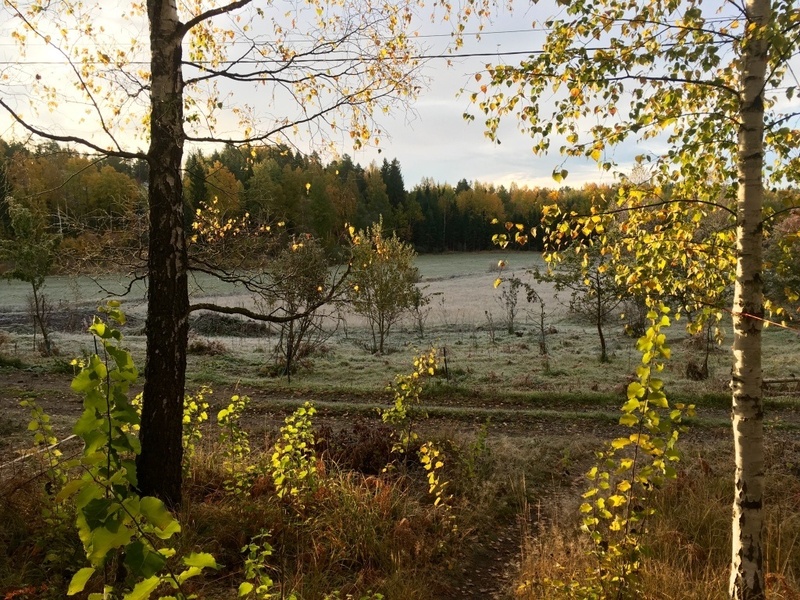 The farm is run by a Finnish family so we learnt a lot about the local way of life. The physical work itself was a unique pleasure giving a completely different experience to a normal desk job and like nothing we’ve done before or since. The smell of the fresh morning air is something that will stay with me for a long time and there’s something very rewarding about helping to support a worthy cause. 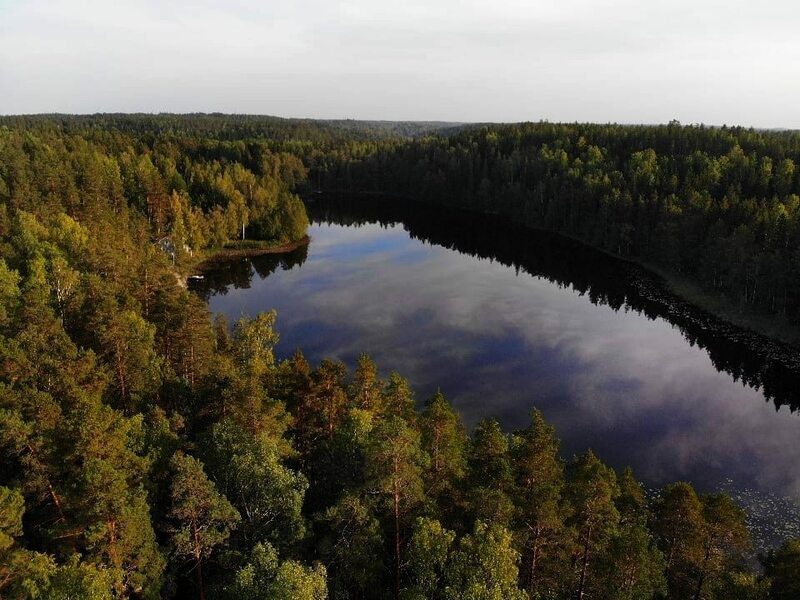 As one of Finland’s top nature attractions, Nuuksio National Park is the perfect day trip for those residing in Helsinki. The 55 square km area is filled with tall coniferous trees and countless lakes and provides plenty of opportunities for hiking, biking and kayaking enthusiasts. Numerous trails exist around the National Park varying in length and difficulty, but they all offer a chance to explore the breathtaking beauty of Finnish wilderness. If you plan to stay for the day, bring a picnic to enjoy by one of the lakes, and take in the fresh crisp air of the forests. Only 35km away from the capital, Nuuksio is around an hour away by public transport. From Helsinki’s Central Railway Station, take the U, E or X train to Espoo Center. Then hop on the 245, 245A, or 245K bus for 25 minutes from platform 32, in the direction of Nuuksionpää/Kattila. Get off at the stop called Solvalla sports institute. Your first point of call should be the Haltia Nature Center, where you can pick up a trail map and ask the guides any questions before setting off. Read the Finland archives, and follow me on Instagram to see our life in Finland – I’m @skimbaco.